If you have just signed up for a brand new Lead Guerrilla subscription you are probably wondering “What do I do now?”. This brief guide is intended give you some answers to that question! One of your first issues will be wondering if you can or should set Lead Guerrilla up by yourself, or pay to have some or all of that process done for you. Have a look here to get some information to help you make that decision. That gives you some information about the services available: you can just get a few specific tasks done on an ad hoc basis, or buy a full implementation service at a fixed price. 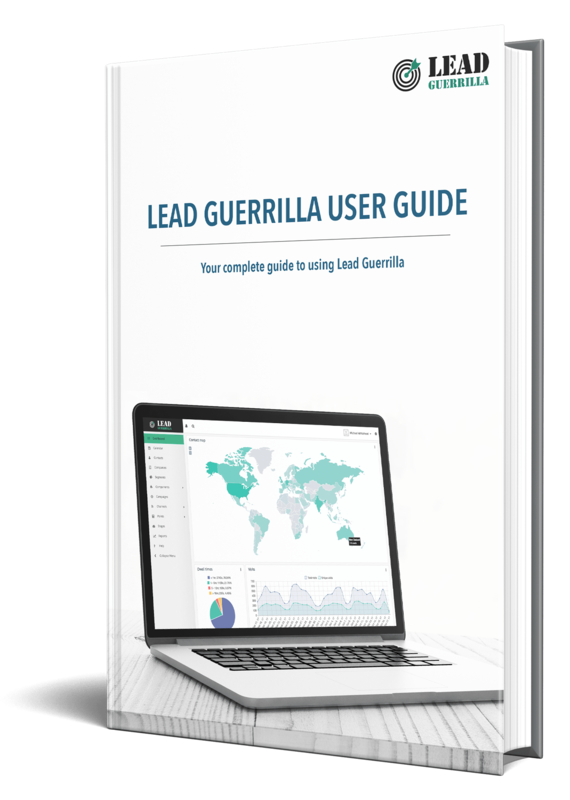 As a comparison, read these Getting Started pages, and look at the Lead Guerrilla User Guide to decide if you are comfortable that you and/or other staff can perform the tasks involved in a Lead Guerrilla implementation. Note: Links to specific pages within PDFs only work in the Firefox and Chrome browsers. For other browsers, please check the page number at the end of the link. By default, Lead Guerrilla is installed set to use MaxMind’s free GeoLite2 IP lookup database. Due to the licensing of the database, it cannot be included with Lead Guerrilla’s installation package and thus must be downloaded. This database is used to translate IP addresses for unknown website visitors into approximate geographical locations. Sending email is an important part of Lead Guerrilla’s role. 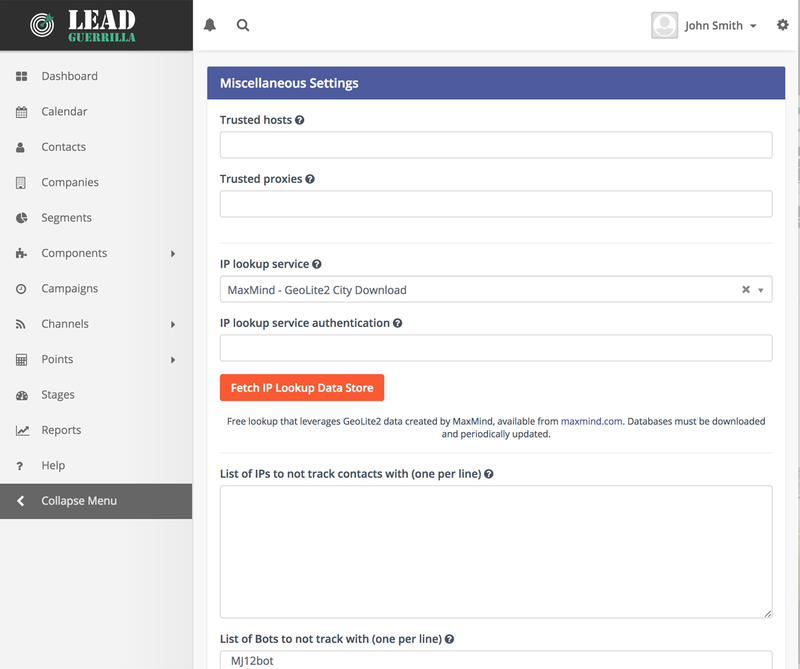 Lead Guerrilla will use SMTP account information which you provide to send its emails. Select Configuration from the Settings menu and then click on the Email Settings tab on the left, to define these settings. 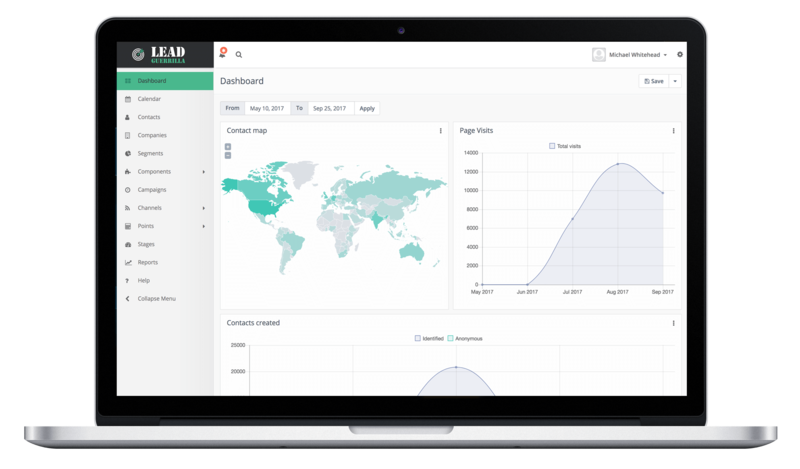 Use a reliable SMTP server that you know is not blacklisted. For example, we recommend Sendgrid for your email campaigns. (Up to 20,000 emails for US$9.95 / month, with larger plans for more emails.) We also recommend using http:// mailtester.com to check your sent emails are not seen as SPAM by recipients. The Roles menu option in Settings is used to define different types of user access. Then when Users are defined, each user has a Role assigned to them which controls what they can see and do within Lead Guerrilla. The screen image shown here shows the creation of a new Role, and gives you a good idea of how granular the permission management can be within Lead Guerrilla. Each Role also has an option to simply enable Full system access, which bypasses these granular settings. 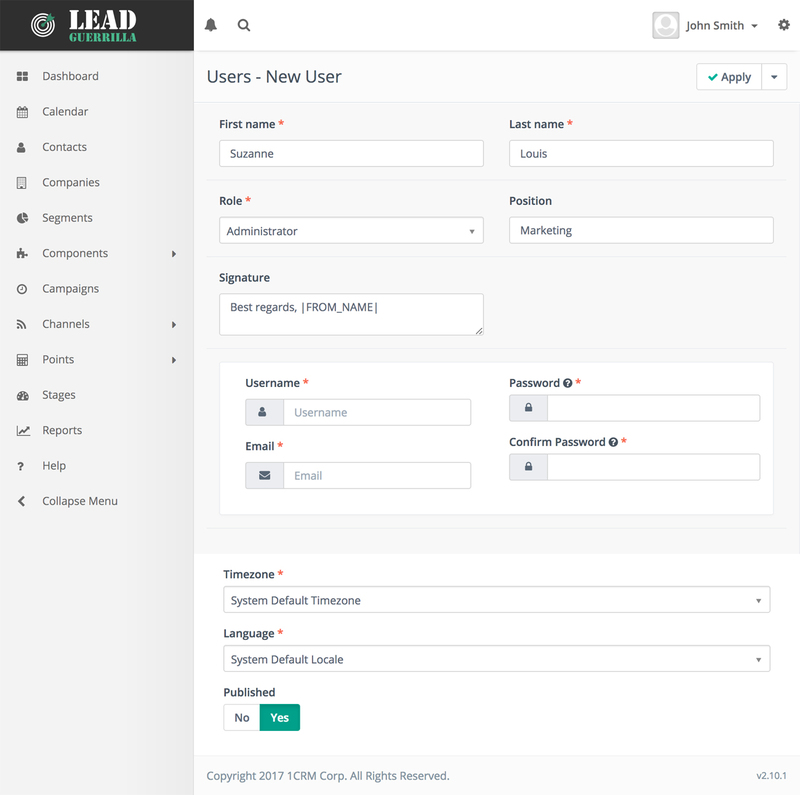 Select the Users menu option in Settings to Create new Lead Guerrilla Users. The information displayed is the same as that shown on the Account details tab available to each user, with the addition of assigning their Role.